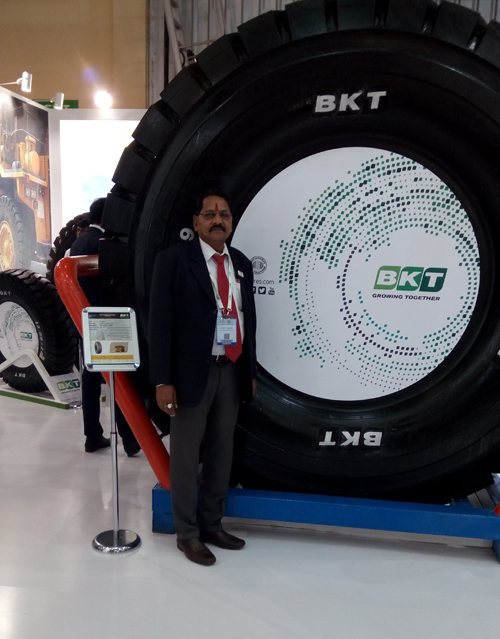 A focussed player in the Off-Highway Tyre industry, Balkrishna Industries Ltd. (BKT) derives about 85 percent of its revenues from exports, primarily to Europe and the US. With around 5.0 percent market share in global off-highway tyre industry, the company is now poised to gain further market share over the next 3-5 years due to their significant cost advantage over global peers, extensive product offerings, and, most importantly, their strong brand equity which the company has managed to build over the past 10-20 years. 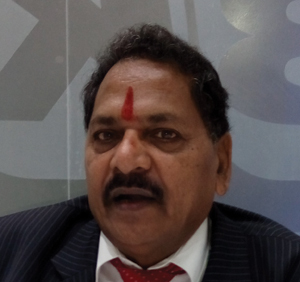 Ashok P. Chhajer, General Manager – OE Sales, BKT speaks to Shashidhar V about how keeping up with the times has aided them in garnering a better position in the market, and the pitfalls that they may encounter going ahead. How do you view the current market for OTR market in the country? The OTR market is doing very good, and has performed well for the past 10 months. The market has been on an upswing since February 2017. And, as per my calculations, this trend should continue for the next 15 months at least. In between, the government announced major projects, such as the interlinking of rivers, which will continue for a few more years. And, a lot many equipment will be needed to complete these projects. So, there is bound to be a boom even in the OTR market when there is going to be a growth in sale of construction and mining equipment. And, why, the boom is not only in construction and in mining equipment industry. You take material handling equipment. There is a boom. You look at port handling equipment. There too you will find growth. Look at agriculture, and you will find growth there too. So, the entire economy is in an upswing mode. And, according to me, this growth trend will continue. Mining, though, seems to be under stress. If you see from the second quarter onwards, there has been a growth in mining as well. And, moreover, why are you focusing on only India? This is not the only market today. You may have a manufacturing base for your equipment here in India, and you have the global market available for you. Today, you can sell your product in whichever country you want to. If you have a quality product, and you offer a competitive price, the market is open for you. So, to answer you, mining was down, but, what about my range? My range of products is not confined only to mining. We offer tyres for material handling, agriculture, construction equipment, and we have tyres for multi-purpose equipment as well. So, there is no question of incurring any losses because one segment is slightly down. The US and European markets were under stress a few years back. However, the markets are recovering and, specifically, the US market is bouncing back. Is that a contributing factor for BKT posting good results? No. The Asian market is on an upswing. The European market too is doing good. Mexico, Canada are all doing well. It is, in my opinion, the Middle East, Africa and North America to an extent which are not doing good. Otherwise, the rest of the world is growing. Market performing well is just one factor. You are also controlling your costs. Rubber prices are down. So, would I be right in saying that it is a combination of these factors that has seen BKT grow over the past year? I am surprised at your question. When did the rubber prices go down? They have been up for quite some time now. This was the year when everybody has taken a price correction. In fact, I am looking at another price correction very soon. And, how would that impact your margins? Why would it impact my margins? Where is the question of impacting my margins if I go in for a price correction? Otherwise, my objective is not to increase my margins. My objective is to recover my raw material price, the increase in input cost. Coming to BKT, what is the market share that you enjoy currently? If you look at the Off Road market share globally, it is six percent. And, I read recently that you are looking to capture 10-12 percent market share going ahead. What is the time frame that you are looking at to achieve this? The way the market is moving, we should be able to achieve this in the next 3-5 years time. BKT’s Bhuj plant is now where most of the activity seems to be happening. So, should one conclude that that is where production will now be shifted to from your other plants? No. The all-Steel Radial tyres, which are a premium product, has already been shifted to the plant. And, whatever steel radial range that would be launched henceforth will be done so from the Bhuj plant itself. So, we can say that the Bhuj plant will be dedicated purely for the production of all-steel radial tyre. Besides that, we were manufacturing other products too at our other plants. But, the all-steel radial tyres will only be produced at the Bhuj plant. You also have the carbon black plant at the Bhuj complex. Not yet. We did make an announcement regarding that. It was backward integration. At this point in time, I cannot say anything more about it. But, you can throw light on the investment you have made on the plant and the volumes, can’t you? No. Not at this point in time. I am not permitted to say anything more about it at the moment. Going ahead, what are the challenges that you see for BKT’s growth? If the raw material prices fluctuate drastically, that would certainly pose a challenge to us. In fact, that is a big worry for us. The market is on an upswing currently, but if you recall, a few years ago, the market was down. So, the volatility is another issue that keeps us on our toes, because things can get unpredictable. So, looking at the market challenges and the scenario, we take appropriate decisions. The market share that you enjoy in the mining segment is in single digits, which you plan to increase to double digits very soon. How would you achieve that looking at the fluctuations in the mining segment? We will need to increase the capacities as well as the range. We will be increasing our range of tyres for the mining segment. We believe that to succeed, you need to have a wide and complete range that is required by the mining segment. And, you need to have the capacity to feed the market requirement. Now, how can market requirement activity increase? For that, we need to do a whole lot of market activities, which means that our touch points have to increase. We are, today, in 160 countries compared to two years ago when we were in 130 countries. So, in just 24 months, we added 30 new countries to our list. On the Port solutions side, what has been the growth that you have seen? We saw very good growth on the port side of business as well. If you see, any country that imports or exports, we are present in that country. Our growth is dependent on the growth of those ports in those countries. The more they import or export, as the case may be, the more machinery they will require and operate. And, so, they will need more number of machines and tyres as well. Lastly, how positive are you about BKT’s growth going ahead? If all things go well, I am 100 percent positive that we will grow and achieve our targets that we have set for ourselves, if not surpass them. I will see a double-digit growth this financial year, and the next.